The problem of unraveling two intertwined strands during the duplication of DNA was recognized shortly after the proposal of the DNA double helix structure in 1953. A group of enzymes called DNA topoisomerases solve this problem by breaking and rejoining DNA molecules in a controlled manner, thereby allowing strands to be passed through each other and thus untanglednot just during DNA replication, but also during many other basic cellular processes. Because of their intimate involvement in the workings of the cell, topoisomerases are also the logical targets of many antibiotics (including Cipro) and anticancer agents. 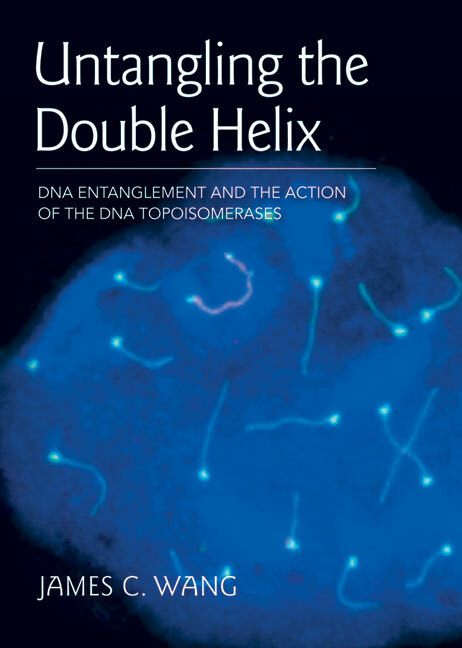 This book, written by James Wang, the discoverer of the first topoisomerase and a leader in the field since, presents ten chapters covering the historical backdrop of the DNA entanglement problem and the discovery of the DNA topoisomerases, how DNA topoisomerases perform their magic in DNA replication, transcription, genetic recombination and chromosome condensation, and how they are targets of therapeutic agents. The book should appeal to readers from undergraduates upwards with interests in the biological and clinical aspects of topoisomerase function, or in the mathematics and physics of topology.